On this episode of The Practice Marketing Podcast, hosts Garrett Smith and Don Lee tell you how you can improve your practice’s visibility on search engines such as Google, Bing, and Yahoo!. As one of the most effective, yet misunderstood, internet marketing strategies for new patient acquisition, Garrett and Don break down how you can rise in the ranks in a simple and easy to understand way. For more information about this episode, and the complete show notes, please continue reading below. Segment #1 – What are the primary elements of search engine optimization? Keyword research is where it all starts. This helps you understand what search phrases patients are using to find practices and services like the ones your offer. Onpage SEO is the most visible and talked about, including things such as page titles and on-page content that is optimized for a desired keyword search phrase. Technical SEO is probably the most important and most overlooked. It includes things such how easy is your website to crawl, how fast do pages load, and the site architecture of the website. The last is Off-page SEO, which is the most important driver of search visibility. Offpage SEO has to do with strategies and tactics that promote your website with the intent of getting more references from other websites. SEO is an ongoing process that takes a long term commitment, but has huge payoffs for those who do continue to invest in the efforts. There are four main elements that go into successful, ongoing, SEO efforts. With over 80% of US adults hitting search first for health information, this is the largest channel for generating new patient appointments. There are many things a practice can do, but the basics work best. Make sure you have high quality education content, then constantly look for ways to promote these resources (and your practice) online through local (and national) outlets. You’re not going to rank #1 overnight, but you can over time. Influencing your practice’s search engine visibility takes a combination of high quality content, and consistent promotion. Google and other search engines are always changing the way they display search engine results pages or SERPS. In the past few years Google has changed their SERPs for many health related searches to show the local pack, which includes a map, with a list of practices and providers below it. This is because Google knows patients want to see high quality providers near them. This section is powered by their Google My Business product and thus “getting to the top” now includes optimizing your Google My Business profile. Google now shows the local pack powered by their Google My Business product for many health related searchers, making Google My Business an integral part in a practice’s overall search visibility. Garrett Smith: 00:00 Hey, everyone. Garrett here. For more information about improving your practice’s search visibility, check out chapter four, in book now, Internet Marketing for Healthcare Practices, available at healthcaremarketingbook.com. Don Lee: 00:12 Hey, Garrett. I was doing some reading on SEO, and I came across this article that told me that there were 400 unique things that Google’s looking at when establishing page ranks. 400. What am I supposed to do with that? How do I come up on top? Garrett Smith: 00:28 On this episode of the Practice Marketing Podcast, you will learn, what are the primary elements of search engine optimization, how your practice can influence its search engine rankings, and why your practice should be focused on Local SEO and Google My Business. Announcer: 00:43 Are you looking to take your practice to the next level? Well, you’re in the right place. 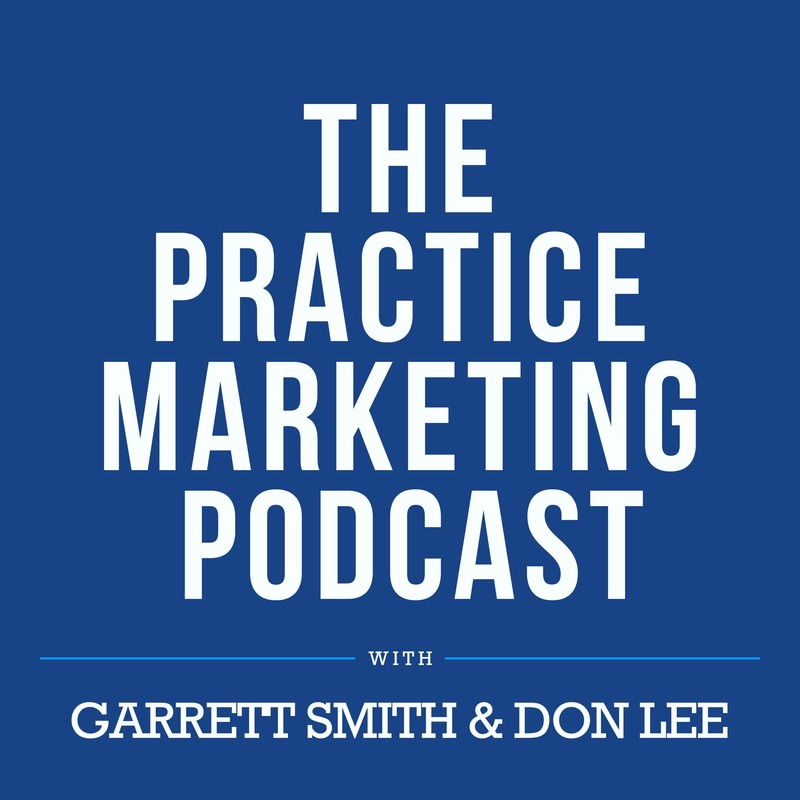 Welcome to the Practice Marketing Podcast, with your hosts, Garrett Smith and Don Lee. Garrett Smith: 00:56 Hi, and welcome back to the Practice Marketing Podcast. I’m your host, Garrett Smith, here with my cohost Don Lee, and this is episode 4, Improving Your Practice’s Search Visibility. And so, Don, you, you started off as always with a question, and you sounded a bit scared there. Garrett Smith: 01:12 400 different search rankings. That turning you away from, uh, becoming a search engine optimization professional? Don Lee: 01:18 Scared is a word, I suppose, that could describe it. It is, uh, but 400, 400 things that are going into deciding what goes up on the page. And it happens pretty darn fast too, so I continue to be impressed by Google on what it is as a technology. But 400 things. How am I gonna deal with that as a practitioner who’s building this website up, trying to get in front of my practice, and trying to attract patients to it? How do I deal with 400 things? Garrett Smith: 01:45 Yeah, 400 is, it’s a pretty overwhelming number, and I think one of the things about, you know, search engine optimization that is really tricky is that it is a black box. Google does not, neither confirms nor denies most of the information that’s passed around the internet in regards to how their search engine algorithm works. Uh, they consider that to be pr- proprietary information that’s critical to their success as a, a technology company. And so when I look at this, you know, when I’m working with practices, I like to kind of boil down search engine optimization into four primary elements. Garrett Smith: 02:19 And so to kind of kick things off, it’s important to know that, that SEO really should start with keyword research. Keyword research is just a process of leveraging tools that are available today that literally let you step inside the search stream and see what patients are actually typing in on a daily basis into search engines such as Google, in order to find what you and your practice do. And so starting there is important, because if you aren’t optimizing your website or your efforts for, uh, prominent terms or popular terms, uh, you’re gonna waste a whole heck of a lot of time and money. Garrett Smith: 02:56 Now, once you have done some keyword research, and you have a better understanding of what patients are looking for in and around your practice and your specialty, the thing that most people look to is, is what’s considered to be on-page SEO. This is the most visible and, and talked-about aspect, and, and it includes things such as making sure that the page titles of your website are optimized and the on-page content that you have is, is educational and authoritative and on topic to that particular search phrase. Garrett Smith: 03:23 You know, the reality is, though, is that technical SEO, the, the third element of SEO, is really one of the most important and often most overlooked. Technical SEO really deals with things such as how easy is your website to crawl? So Google sends out crawlers to index your, your information. So based on the way that your website is built, that could be easy or difficult for them. Uh, how fast do, does the website load and the individual pages, and even the overall site architecture of the website. So, you know, is it easy for a human to navigate around and find the necessary information? Garrett Smith: 03:59 And then, you know, last, but certainly not least, is off-page SEO, and off-page SEO is really the most important driver of your overall search visibility. Now, your off-page S- SEO efforts have to do with strategies and tactics that are really designed to promote your website, with the intent of getting more references from other websites. And online, a reference is a link, and so, you know, really when, when you take a look at SEO, a lot of folks number one, get confused because there’s not always definitive information out there. Google changes their algorithm all the time. I mean, you know, it’s September of 2018. They’ve already had four or five major updates this year that have changed things. Garrett Smith: 04:41 And so SEO really is this ongoing process that does take a long-term commitment, but if you stay committed and you continually execute, there are huge payoffs for those who, who make those investments and efforts, in terms of traffic to your website and new patient appointments. In fact, most of the practices we work, we work with see anywhere from 60 to 70% of their total new patient appointments come directly from Google. Don Lee: 05:07 All right. That makes me feel a little bit better, that you tell me that you can at least categorize them down to four things, but I still know there’s 400 underneath, so you haven’t tricked me yet. But what was really interesting about what you said there is that off-site SEO, that last element that you mentioned, is the most important to your website. So, so basically what you’re saying is, things that are not on my website are most important to whether or not Google and other search engines decide that my website is worth presenting to people? Garrett Smith: 05:36 Yeah, if you take a look at the original thesis around Google that was created by their founders, it really kind of modeled around this idea of a card catalog and the citation method. And so from its start, Google’s DNA has been that the more cited a website is, the more it is referenced, more authoritative it is, and therefore it should rank higher for keyword searches that Google has determined that this website is, is speaking to. And so online, you know, references and citations, those are really links. Now, because links dictate a large percentage of the ranking algorithm, they are also heavily scrutinized by Google. Garrett Smith: 06:22 So oftentimes you will hear people say, “Oh, you need to go out there and build links.” This is true, but I think that the process of going out there and acquiring links, right, is better thought of as becoming a well-cited source and a highly referenced source, just like you would find with a lot of the different papers that would be published in, you know, your, the own health journals and professional journals, right? We know that the ones, the, the studies and the cases that are documented with the most references and, and citations tend to be the ones with the most accurate information and outcomes. Garrett Smith: 07:00 And so Google uses this sort of general model, right, in order to dictate the rankings, and, and as a result, you know, the number one thing that people can do once they’ve done the basics, the on-page stuff that everybody can do, the difficult thing is, how do you get more people online to reference and cite your website as, you know, this authoritative accurate source? And, uh, if you’ve been following along with us, this is where things like, you know, the on-page content and building your digital health library really tie in and become a, a core component of your search engine optimization efforts. Don Lee: 07:33 Gotcha. So yeah, definitely a lot of subtlety going on here, so it’s gonna be interesting to dig into even further. Garrett Smith: 07:41 Pro tip number one: there are four main elements that go into successful ongoing SEO efforts. With over 80% of US adults hitting search first for health information, this is the largest channel for generating new patient appointments for your practice. Don Lee: 07:59 All right, so you gave us the four big categories that you look at when you get into SEO. But at the end of the day, what I’m trying to do is I’m trying to improve the visibility of my website, all right? What are the best ways for me to influence those page rankings on Google, Bing, or wherever are, people are doing their searches? Garrett Smith: 08:15 Yeah. The reality is, is that I don’t think you need to be concerned with influencing all 400 ranking factors, unless you’re gonna be a professional SEO. That might be an interesting pursuit. So in reality, there are a couple of core things that you can think about and that you can execute on in order to influence your practice’s search rankings and, and, and move them in a positive direction. So first and foremost, after you’ve done that, that, that keyword research, make sure that you have high quality pages for the terms and the search phrases that you want to rank for. This may require you to write. This may require you to hire an agency or a ghostwriter to do this. But if you don’t have a page on your website for the search phrase that you want to rank for, you’re not going to rank. You know, Google is an exact match technology, and very often, you know, it works as a one search for one page. Garrett Smith: 09:03 Building off of that, another thing that you can do, which is going to, to help, is to claim all of your business in doctor directory listings. There are hundreds of them out there. I would probably say for the average healthcare practice, you could focus on 20 to 50 of them. But the interesting thing here is that not only are you kind of cleaning up these other entrance points that pat-, where patients could find you online, but each one of these directory listings oftentimes have the ability for you to link back to your website. And so by going through the best practices of just finding, claiming, and enhancing your online listings, you’re gonna actually improve your SEO, because some of those reference links back to your website are going to increase the overall authority of your website. Garrett Smith: 09:45 Now, once you’ve gotten through those basics of content and kind of claiming your online listings, I usually look to tell folks to look at things such as sponsoring local community organizations, clubs, events, sports teams, uh, especially ones that, uh, very obviously list their sponsors and supporters on their website. I always say that these type of opportunities, they feel good, they make you look good, and you can get a very valuable reference link back to your website that will help build your authority and overall search visibility. Garrett Smith: 10:17 You know, finally on top of that, you know, one of the most effective things that you can do is to offer local online news outlets educational health content in exchange for a byline about you and the practice. And very often that byline would include, you know, a link back to your practice for those who read the article, to learn more about you and the practice and what you do. So, so really, these kind of four areas, right? These four little levers are the things that on an ongoing basis you can kind of push and pull in order to help influence your rankings. Garrett Smith: 10:47 Now, this is not to suggest that there aren’t hundreds of things you can do, but I’ve always found that the basics work best, you know. And what are those basics? Number one, again, make sure you have high quality educational content, and then be constantly be looking for ways to promote these resources and your practice online through local, and even sometimes national, outlets. Don Lee: 11:07 Yeah, I’m definitely a low-hanging fruit kind of guy, you know, especially out of the gates. It just makes sense to, to take what’s there for you. And what’s interesting is it sounds like the internet almost creates a little bit of a scaffolding for your profile for you, like your online digital footprint. It’s there already, and all you gotta do is go start filling in with all those online listings. So I think, I think that’s a great point, that people can go and start there. Don Lee: 11:30 And then I like the approach to going out and doing this link-building activity, basically by going and doing nice things, because you’re, you’re providing value, right? Even, you know, and, and the charity, obviously, you’re, if you’re gonna support a local sports team or something like that for the kids, that’s very obvious that you’re helping people out. But even on the, the last one, you know, a news outlet, they’re hungry for content. That’s their job all day long, is to find and produce content, and if you can give that to them, and you give them content that’s already valuable to the readers, you’re doing them a great service, and you can feel good about, you know, you’re getting something in return for providing value to someone. I think that’s a great way to do it. Garrett Smith: 12:05 Yeah. Two quick examples, Don. You know, the first on doing kind of community-based sponsorships. Let’s just take like a Little League baseball team, for example. If you’re, if you’re a pediatrician, if you’re a IVF doctor, OB-GYN, I mean, your target audience is, is sitting in the stands, right? Don Lee: 12:22 Mm-hmm (affirmative). Garrett Smith: 12:23 And so to have your name, your practice name across the front and back of the jersey the whole entire time, to be included in, you know, all the different branded materials that are handed out around the league is very, is invaluable marketing. You know, the link and the reference at the end is, is sort of, you know, the, the cherry on the top. So, you know, we always look for, again, low-hanging fruit, but also ways to drive results in multiple different ways with your, with your marketing efforts. Garrett Smith: 12:47 The second example, right, is that if you look at the general trend, newsrooms across the nation are shrinking. They don’t have as many local news reporters and journalists on staff, and therefore, that creates an exciting opportunity for subject matter experts like healthcare practitioners to fill the void. And in exchange for, you know, giving them content that’s on trend and educational and accurate, they can help promote you and the practice. Uh, and so it’s a great trade-off and certainly a lot cheaper than buying a full-page ad. Don Lee: 13:17 Yeah, right on. And if you’ve got, if you have the good information, you’ve got something to share, you know, it’s like that’s your opportunity to put that out there and make sure people are hearing the right thing that n-, they need to hear, rather than what else they might stumble upon out on the Web on their own. Garrett Smith: 13:35 Pro tip number two: you’re not going to rank number one overnight, but you can over time. Influencing your practice’s search engine visibility takes a combination of high quality content and consistent online promotion. Don Lee: 13:51 All right. So to continue on here, the one thing that I keep thinking about is, and you hear this all the time, that healthcare is local, right? And your patients more than likely, I would think, not in every case, but in most cases I would think, you’re looking for patients that are geographically close to you. So why don’t we talk a bit about the focus of local SEO and things like Google My Business and other options that are out there for the practices? Garrett Smith: 14:16 Yeah. So a lot of times … uh, one hurdle when, when I first started talking about SEO with, with providers and, and practice managers is that they don’t always understand what it is that patients are seeing. And so, you know, first and foremost, the thing that you gotta know is that Google and other search engines are always changing the way they display their own results pages, often called SERPs. And so these changes are typically made to either improve the user experience for the patient searcher or to serve Google’s own benefits. Garrett Smith: 14:46 So in the last few years, what Google and others have really done is change the way that their SERP, their SERPs pages look for many of the health-related searches. And so before, where you would primarily see a listing of organic-type search results for your website or your website pages, they’ve really replaced that with what they call the Local Pack, which includes a map that shows a listing of providers or practices, and then below it a, a three to four structured kind of listings for those providers or practices that were displayed on the map. And so the reason this change has happened is because Google knows that patients want to see high quality providers that are near them. So if you’re in Des Moines, Iowa, you want someone in Des Mon- Des Moines, Iowa to provide your care, not in New York City, okay? Garrett Smith: 15:35 And so with these changes, it has brought a new dimension into SEO. So today there is now something called local SEO, and local SEO has less to do with your website and more to do, at least on Google, with your Google My Business profile and how optimized that is for these localized searches. And so the reality is today, for, for most providers and practices, getting to the top of Google for a particular search query is probably more about your local SEO and your Google My Business profile or your, or your Bing business profile than it necessarily is about your website. Garrett Smith: 16:13 Now, websites listings will still come up in the organic, which is located just below, so in many cases if you’re doing the right things, you will rank highly both for local and for those organics. And therefore you’ve got multiple listings in the same, you know, set of, of, of 14 to 20 sort of search results that you’re typically seeing on, on the first page. But the reality is, is that if you want to be successful with increasing your local search v-, your search visibility, local SEO and your Google My Business profile are a big part of that. Don Lee: 16:43 How do people look at those results relative to, like, ads, like a placed ad that comes up at the top of the page? It actually says, “This is an advertisement.” Versus this Local Pack, is that, are they viewed differently by the patient on the internet? Garrett Smith: 16:57 Yeah, so patient search behavior is a, is a curious thing. There are folks who know that those are ads and won’t click on them and will prefer to look at the organic, because they believe that the organic search results haven’t been manipulated in any ways. Don Lee: 17:09 Mm-hmm (affirmative). Garrett Smith: 17:10 Uh, some people just, you know, they don’t interact with advertising. You know, in general I can tell you that for some of the terms that in, in some of the practices we work with, a good click-through rate on your Google AdWords, uh, those AdWords, would be, you know, 6 to 10% of the total search volume. So if you think about a search term like “dentist”, let’s just say, if that has a thousand searches, the reality is, is probably only 10, maybe 20% of those people are clicking on an actual ad. The other 80% are gonna either interact with a local, with the local results or the organic results. Garrett Smith: 17:42 And so in a perfect world, a practice and a provider would both be, would be participating in, in Google AdWords. They would also, you know, have a great Google My Business page that is optimized and ranks highly in the Local Pack, and their website would also appear, so that you have a listing in all three of those sections. But if time and budget are limited, uh, which in most cases they are, really focusing on your local SEO, your Google My Business, and then your website SEO is, is gonna provide you with the biggest bang for your buck. Don Lee: 18:11 Got it. So that Local Pack, though it’s viewed more, it sounds like it’s viewed more as organic content than an ad. Is that fair enough? Garrett Smith: 18:18 The local maps, really what they’re doing is they’re using the information that is provided by you or, or your agency or whomever created your profile through Google My Business. A lot of times, you know, ranking highly for a localized search will depend on where that person is searching from, how close you or the practice is to that person, the online reviews that are on your Google My Business, uh, profile, in addition to the categorization used, and just is the profile completely filled out and accurate? Garrett Smith: 18:46 And so I don’t want to go too far into Google My Business. We’re gonna save that for a subsequent ex- episode, because it really is that important to the success of many providers and practices with their internet marketing, but it is important, I think, for now that you just know that it exists, it is different from your website, and Google and, and other search engines are doing everything that they can to send more people to ads and the Local Pack, because they control it, than the actual organic listings. And so I anticipate, you know, in another five years, ads, Google AdWords, your Google My Business, the Local Pack will be even more prominent and more important than it is today. Don Lee: 19:23 Got it. And it’s definitely, as we said earlier, it’s a low-hanging fruit, so it’s something that you just really ought to go take care of, because it’s not going to be a big lift. Garrett Smith: 19:30 Yeah, actually, Google My Business is completely free, so it just takes time or, you know, a small payment to an agency or a solutions provider to go ahead and create that for you. Uh, and also, it’s got a lot of great little tools that you can use to, you know, kind of do a better job marketing your, your practice through Google My Business. So, uh, it’s definitely something that if you haven’t done it, it’s worth taking the 20 minutes to an hour that it may take you to, to find it, claim it, enhance it, and put yourself in a better position than you were earlier in the day. Garrett Smith: 20:02 Pro tip number three: Google now shows the Local Pack, powered by their Google My Business product, for many health-related searches. This makes Google My Business an integral part in a practice’s overall search visibility. Don Lee: 20:20 All right, so that was a great intro to SEO. There’s a lot going on there. You gave the listener a lot to dig into and to, and to think about right now. Why don’t you tell them where we’re at next? Garrett Smith: 20:28 That’s right, Don. There’s a lot to SEO, and so we’re gonna take a little bit of a deeper dive into some of the elements of SEO over the next couple of episodes. On the next episode of the Practice Marketing Podcast, we will be discussing how to optimize your Google My Business profile and maximize your visibility for localized health searches. Thank you for listening. Announcer: 20:48 Thanks so much for listening to this episode of the Practice Marketing Podcast with Garrett Smith and Don Lee. If you enjoyed today’s episode, please leave a review and subscribe. And for more great content and to stay up to date, visit inboundmd.com/podcast. We’ll catch you next time. Garrett Smith: 21:06 Hey, everyone. Garrett here. 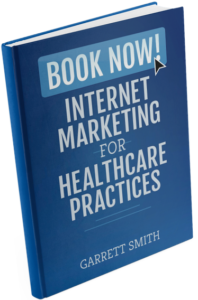 For more information about improving your practice’s search visibility, check out chapter four, in book now, Internet Marketing for Healthcare Practices, available at healthcaremarketingbook.com.